Description: Paper Accents Chipboard Shapes are perfect to cover with paper, paint, and embellishments. 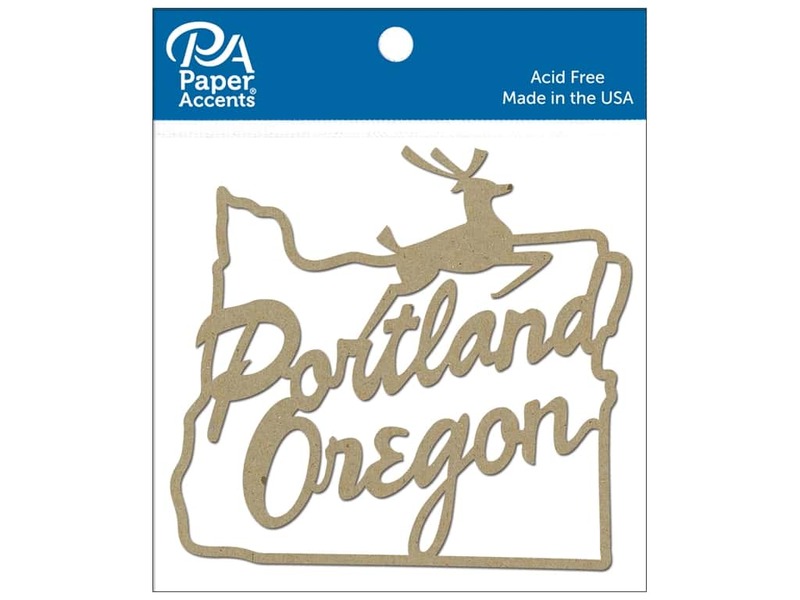 Portland Sign Natural 4pc- Iconic Portland Oregon sign with the jumping deer and state outline. Measures approximately 4 in. x 3.63 in. Kraft color, extra-heavy chipboard, 100% recycled. See more Paper Accents Chipboard Shapes.